While Brisbane's foodie scene is straight fire right now with the arrival of so many eateries, the hit list is fast becoming a novel, and it’s getting a little, well, overwhelming. So much to try, so little time. With the addition of their new out-of-this-world outdoor dining precinct, Westfield Chermside is now home to over 70 new eateries, and it’s all just so enticing, which makes it hard to know where to start. But we’ve taken one for the team and started steadily eating our way through as many dishes as we can, in order to bring you a list of our suggestions for your next lot of #foodgoals. Don’t say we’re not good to you. While this is merely a starting point, if you can get through it, we bow down. Eating pants on? Let’s go! In Brisbane, our breakfast game is very strong–you probably have an entirely separate list of brekkie dishes you need to tick off. Well, we're adding one more. If you've had enough avo on toast to last a lifetime, head to Beach House Bar & Grill for their phenomenally delicious take on the most important meal of the day: crispy crumbed banana fritters with pistachio ice cream, chocolate sauce, honey, natural yoghurt and smashed walnuts. It's the bomb, and take it from us: anyone at the table who doesn't order it will come down with a major case of food envy. 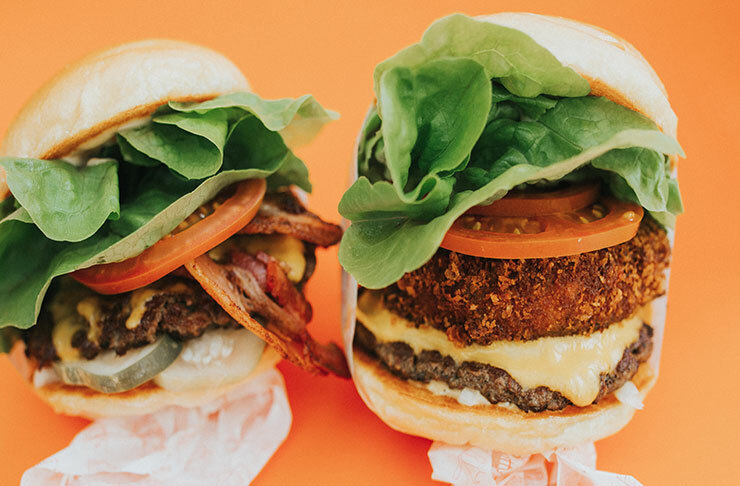 After making the trek to Noosa for years to get their Betty’s fix (#firstworldproblems), Brisbanites can now smugly pop to Westfield Chermside’s outdoor dining precinct in mere minutes for what are arguably the most luscious burgers in town. You probably go for the Classic each time because you know how reliably delicious it is, maybe adding bacon and pickles if you’re feeling frisky that day, but we suggest you take your burger game to the next level and get the Classic Stack under your belt. All the goodness of a Classic with the addition of a crunchy, juicy, crumbed mushroom patty, the Classic Stack is the ultimate go-to for the omnivorous. To say this plate of food is OTT is an understatement. Head to The Bavarian and behold a truly stomach-boggling mountain of haus-made sausages, including Wagyu chilli beef, veal and truffle, giant Thüringer, cheese kransky, and chicken cacciatore flavours, that along with mash, sauerkraut, beer and gravy, is apparently meant to feed one (very, very hungry) person. It’s tempting to nibble on one of their delicious freshly baked, still-warm giant pretzels while you wait, but we urge you to employ a tactical eating strategy prior to this meal–perhaps a large dinner the night before to prep the stomach, followed by a light breakfast. Then, bring on the sausage sweats. We sure do love ourselves some Thai food, and while we know there's plenty of choice around, you really need to put Kinn + Derm's signature dishes at the top of your "Thai to try" list. 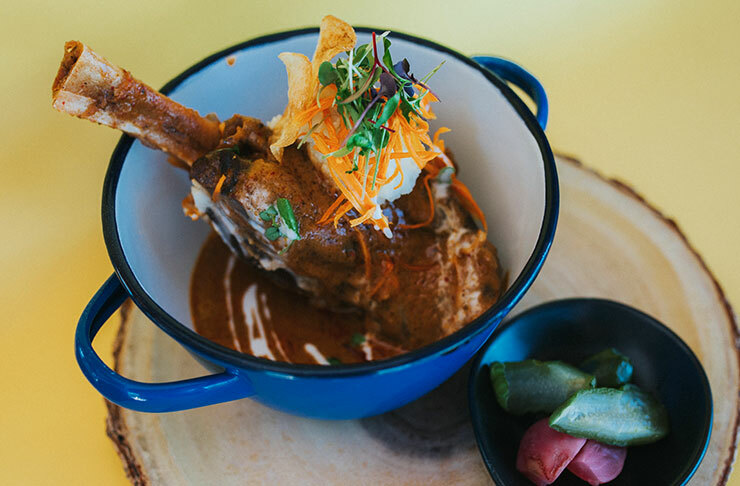 Succulent Massaman lamb shank, roasted duck pancake, fiery chilli jam crab... these guys take your classic faves to the next level–especially when paired with one of their inventive signature cocktails. Trust us, this is Thai food done right! This smokehouse and grill is a meaty paradise of all-American goodness, and if there’s one thing Americans know how to do, it’s ribs! We all know good things take time, and Bootlegger’s beef short ribs are seasoned with their in-house rub, then cooked low ‘n’ slow for no less than 14 hours. Served with slaw and your choice of sauce, the slow cook technique combined with the fatty meat mean these succulent bad boys (almost) literally melt in your mouth. Better get that moist towelette at the ready: you’re gonna get your hands dirty. How they make rice taste so good is beyond us, but we’re happy to let them weave their magic all over those giant pans of deliciousness. 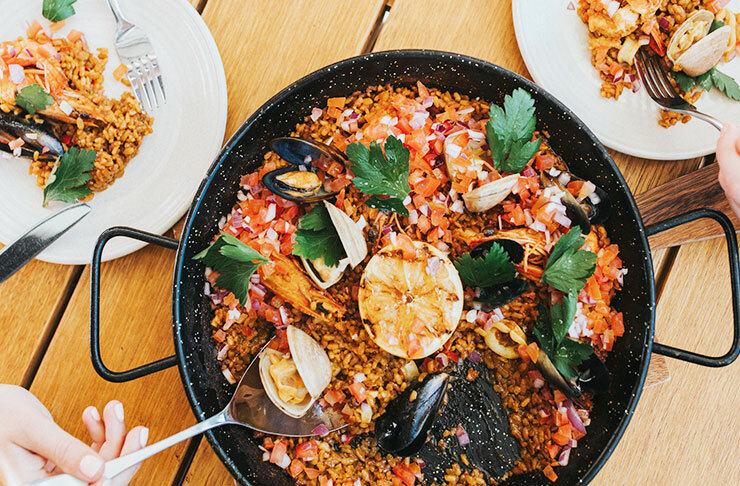 With each dish feeding two or three, Hermosa's paella makes for the ultimate people-pleaser. Choose from medleys of king prawns, squid, mussels, and clams; chicken, chorizo, mushrooms and peppers; or mushroom, peppers, winter greens and peas, all served with saffron bomba rice and best washed down with a refreshing sangria. Let the good times roll! All that trekking around trying food is thirsty work, so luckily there's no shortage of tasty quenchers on offer. Our first stop would be Tapworks, and our first cocktail choice would be The Chermside Cooler (when in Chermside, right? ), which is a hella summery-sounding concoction of vodka, Malibu, fresh pineapple and cranberry juice. After that it would be rude not to move on to trying a couple of schooners from Tapworks' 30 craft beer-strong selection, with frothy faves like Green Beacon, Newstead Brewing Co and Pirate Life all there ready and waiting for your sipping pleasure. Now we ain’t sayin’ she’s a gold digger, but… actually wait, yes we are. The must-try option at Savour is their signature éclairs, and the "Gold Digger" is the pick of the bunch. Light choux pastry filled with chocolate crème, honeycomb, milk chocolate and topped with edible gold. 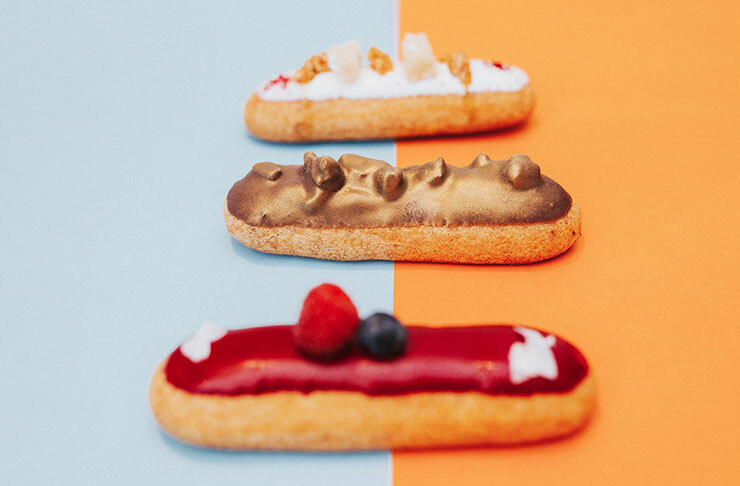 We don’t think you can taste the gold, but you sure can taste the good life when you go luxury choux-shopping without the high-end price tag. Grab a "Stop, Collaborate & Listen" and a "Tropic Like It's Hot" for extra swag. Editor's Note: We've partnered with Westfield Chermside on this content because we think their new food precinct is epic. Thank you for supporting the sponsors who make The Urban List possible. For more information on who we choose to work with, click here.